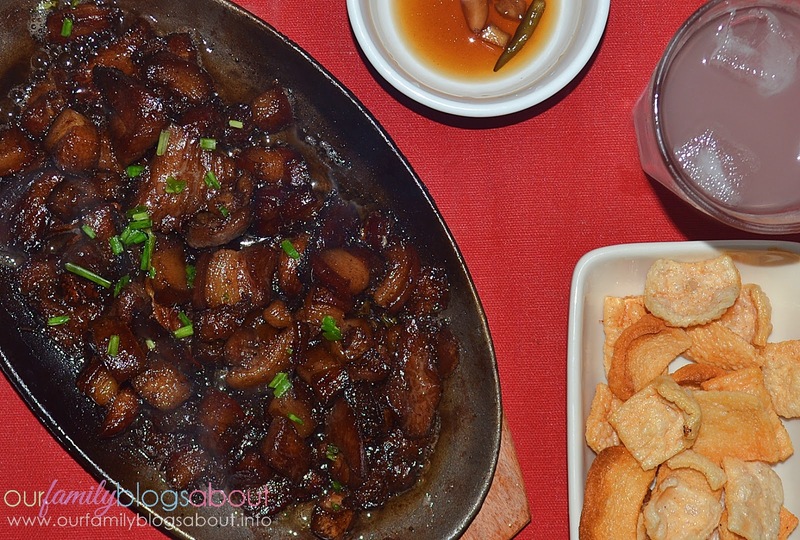 Daddy A loves to cook and bake. So I can say that kitchen is one of his favorite spots at our home. 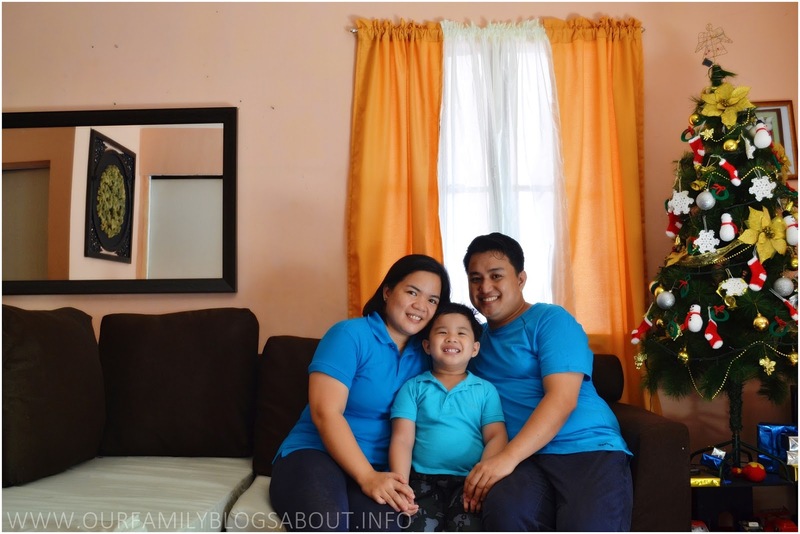 That's why the kitchen will be the next area we will renovate after our living room. 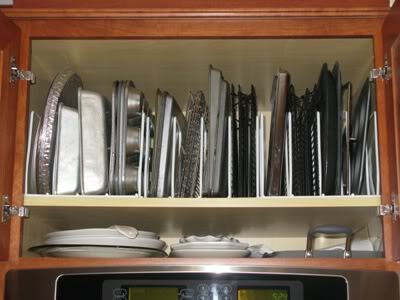 But have noticed we have a lots of kitchen utensils that needs to be organized. 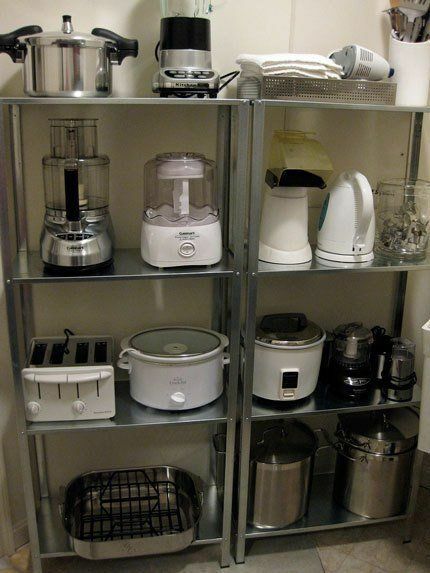 So now, let me share some do it your self (DIY) kitchen organizers. 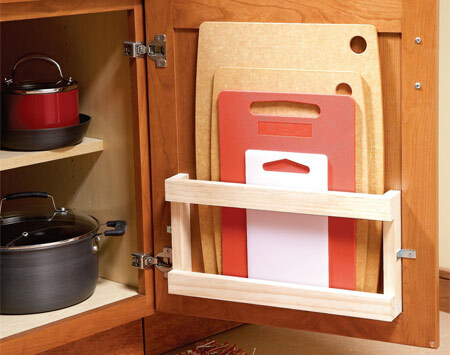 This pull-out cabinet organizer is perfect in our kitchen since we have many pans. Also since you can pull and extend it, you will have easy access to cookwares. 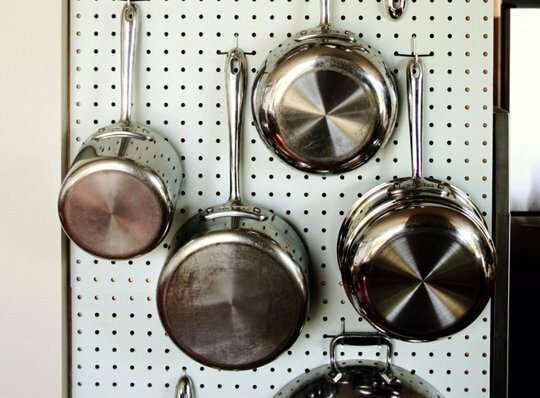 I like this pegboard pot organizer. I can place it inside the cabinet or just hang it on the wall. 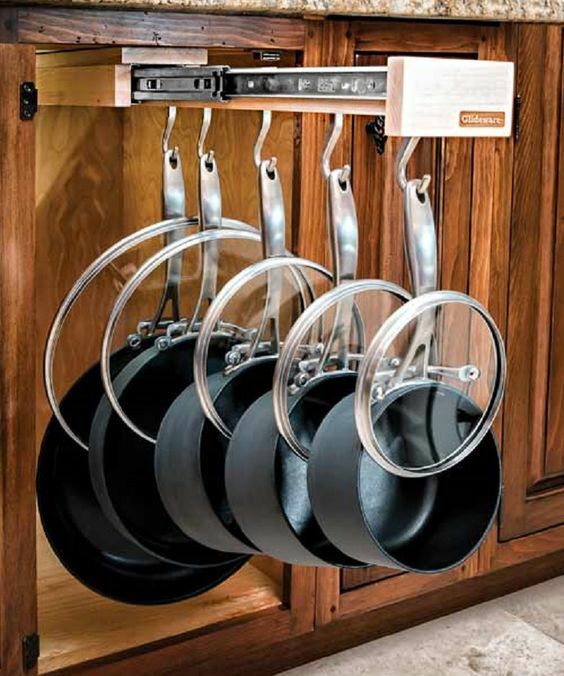 Or simply use an adjustable organizers like this. 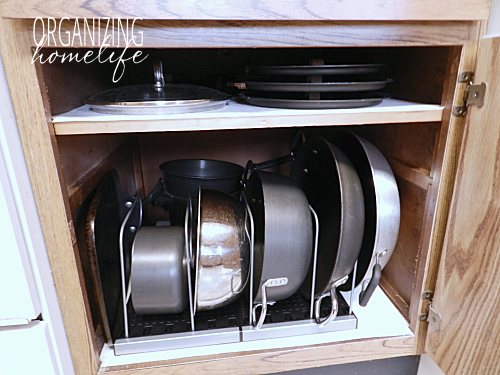 Same with baking pans, you can use adjustable organizers. 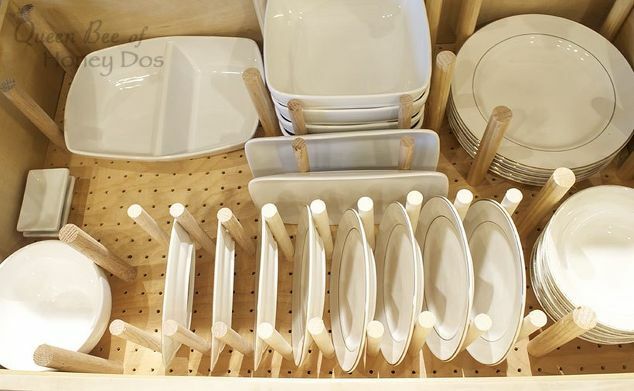 If you have drawers, this is perfect. So nice, I'll make sure we'll include additional drawers when we have our kitchen renovation. 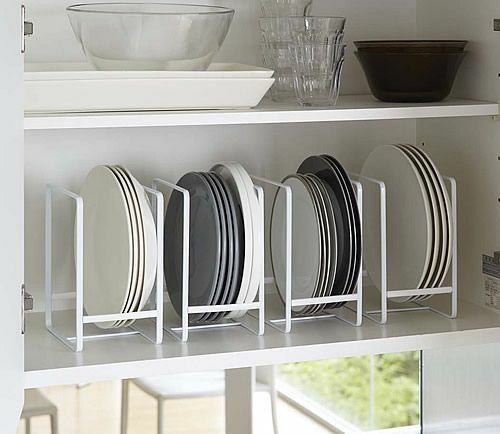 If you have drawers, this vertical rack will also do. 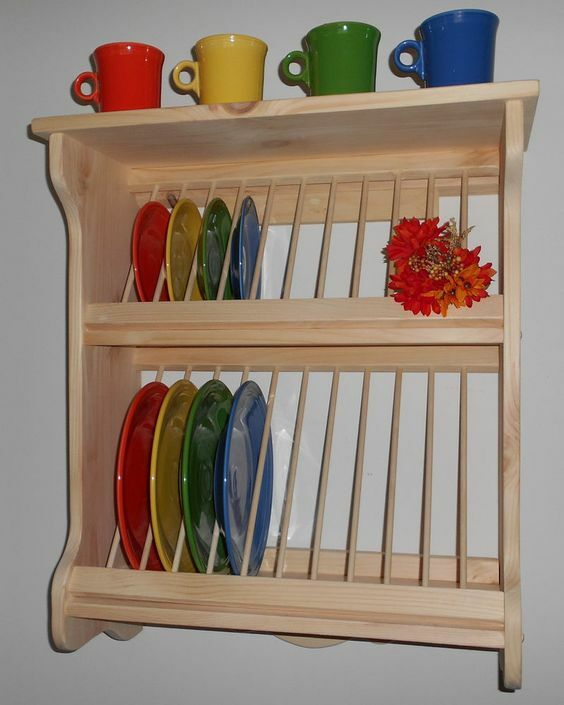 Or this hanging plate rack. So nice, but I'll wait till my son grows up. You know, kids are always curious and clumsy, haha! 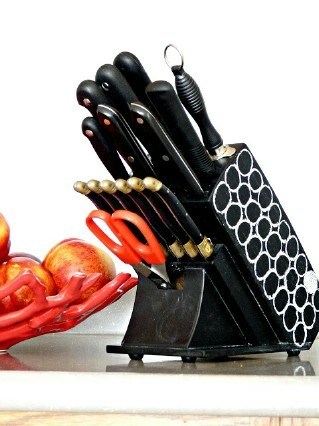 For the knives, you can use this usual organizer. 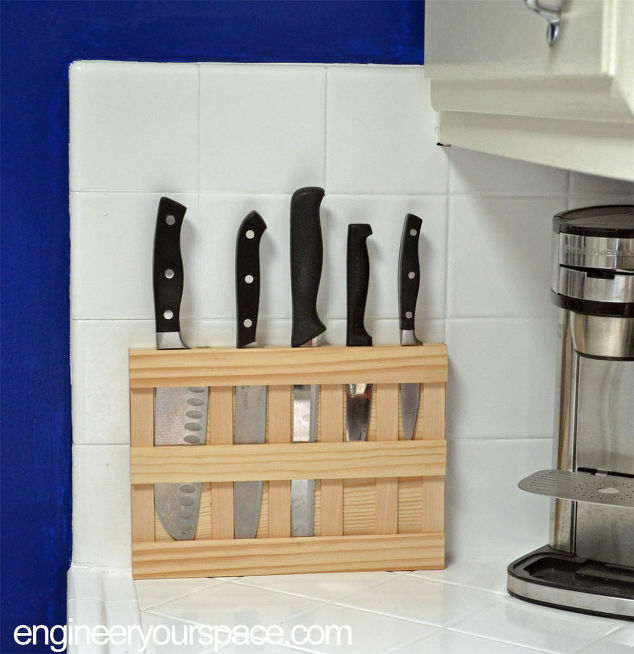 Or this wall mount knife rack. 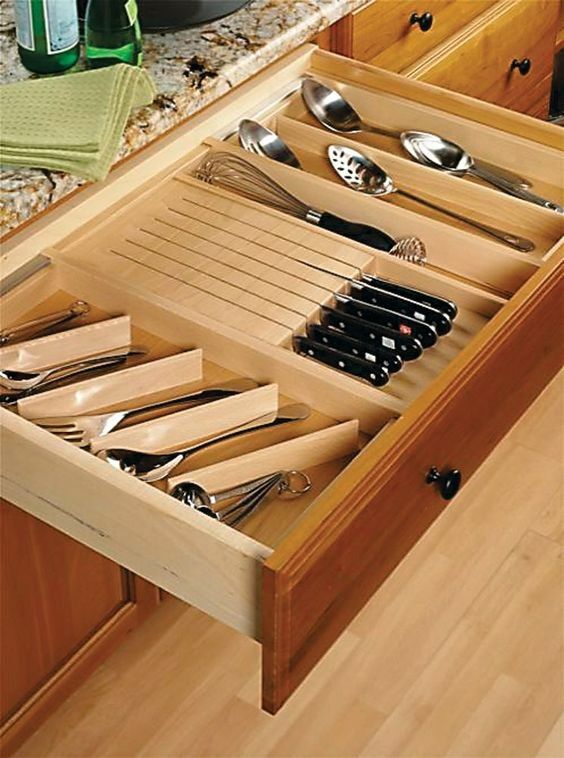 But I prefer to keep them safe with the other utensils like the spoons and forks inside the drawer. To keep it away from the eyes of my curious kid. 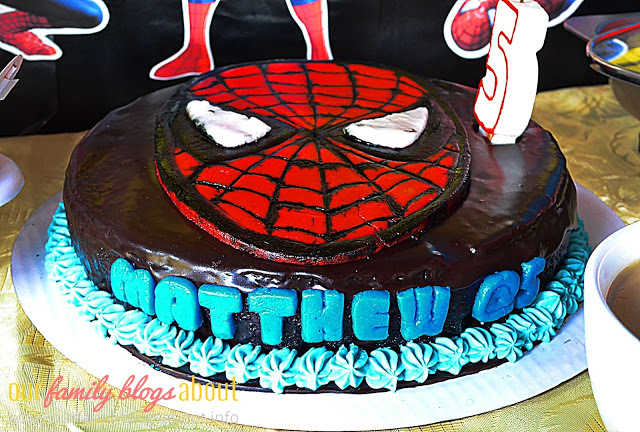 Daddy will surely love this. 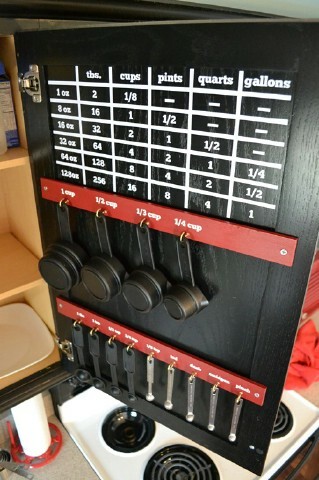 DIY measuring cups organizers with measurement chart. Chopping boards can be stores like this using a rack mount on the door's back. We need a spice organizer like this rack because Daddy loves to cook and he has buys many spices. This recycled crate spice rack that can be mounted on the wall is perfect too. 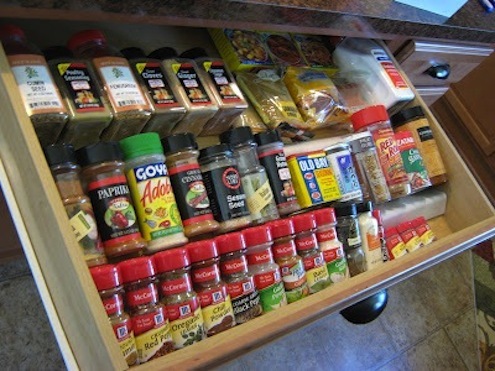 Or neatly keep them inside a drawer like this. 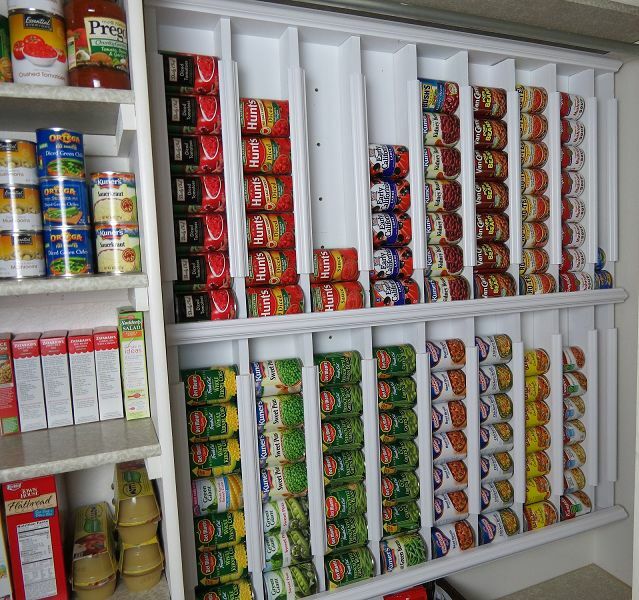 Or put them at the back of the door's cabinet like this. But I like this the most. 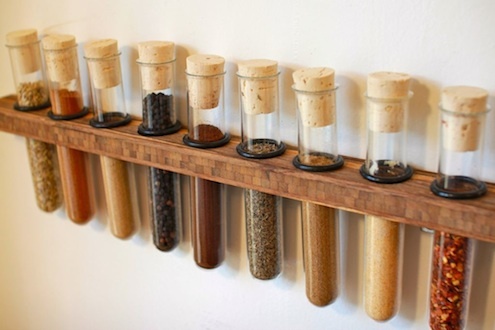 DIY test tube spice rack. Perfect for us since we are both chemist, haha. 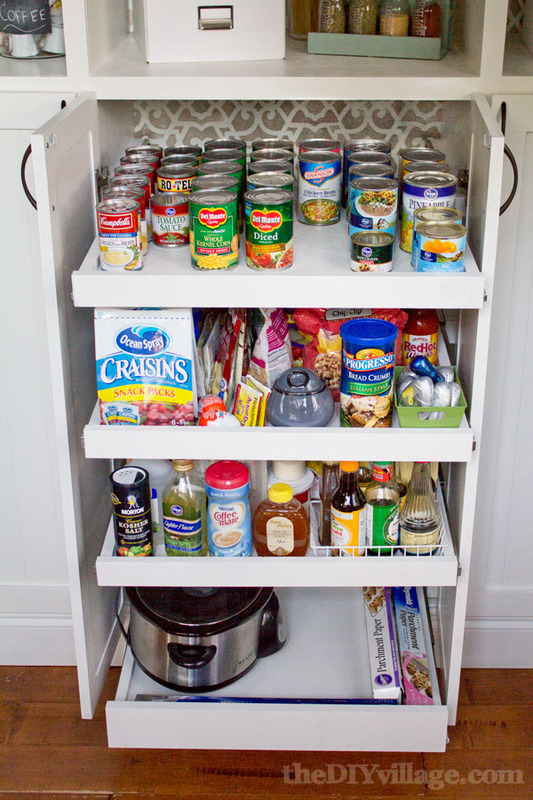 If you are like us who store goods at home like canned food, this DIY canned food dispenser is love. 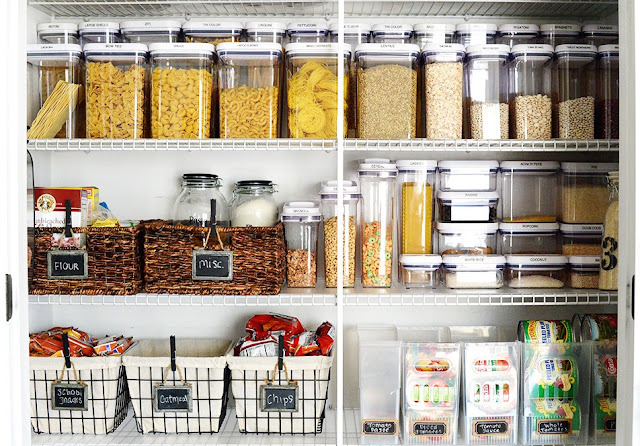 Or store them neatly using clear jars and baskets with labels. So organized right? 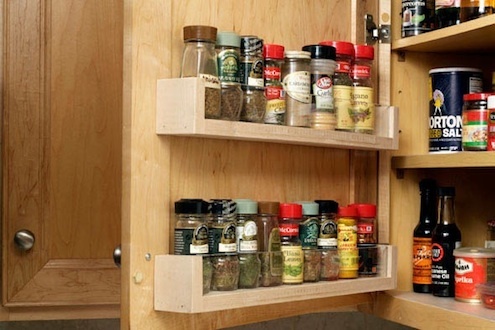 You can organize your pantry this way too with this full extension drawer slides. 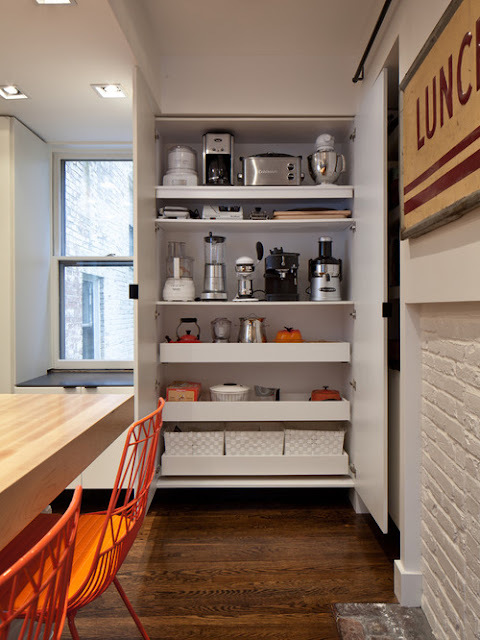 You can also use pull out shelves to store kitchen appliances for easy access and to save space if you have a small kitchen like us. 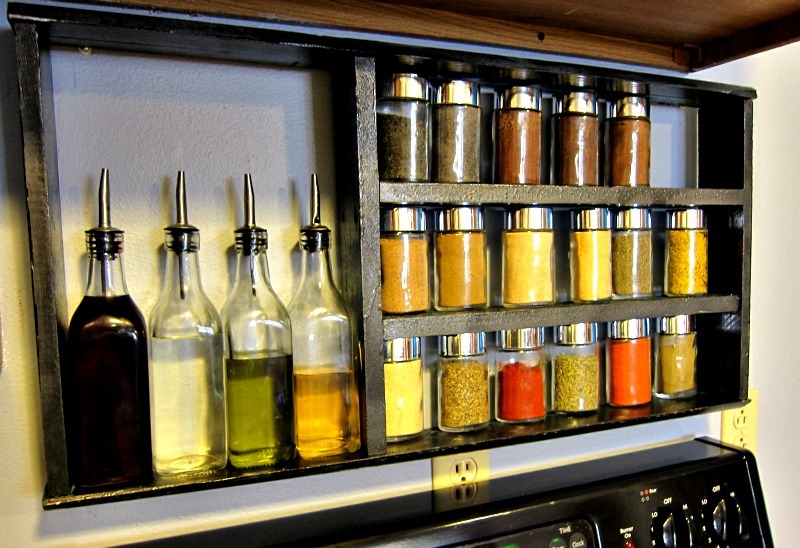 Or on metal kitchen shelves like this. 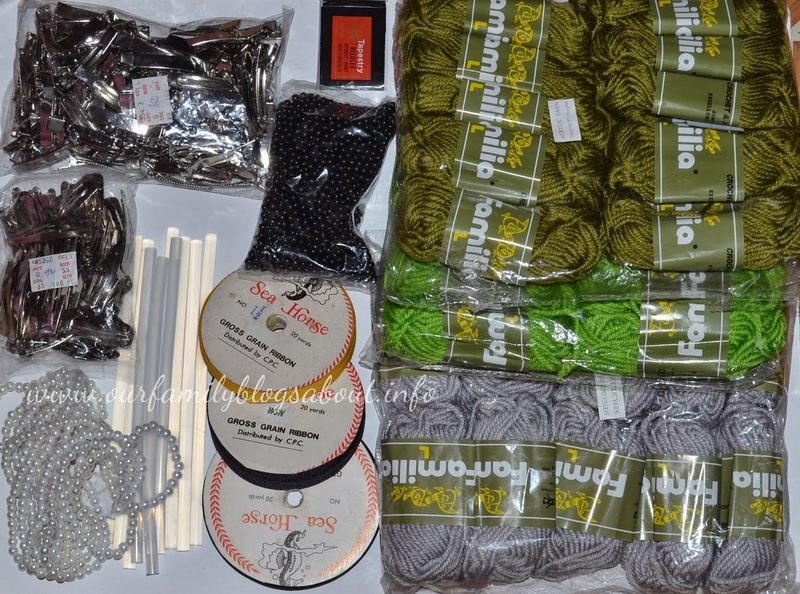 But this is my ultimate organizer peg. All in one kitchen organizer. Whew! I have shared a lot but this one can store everything above, haha! 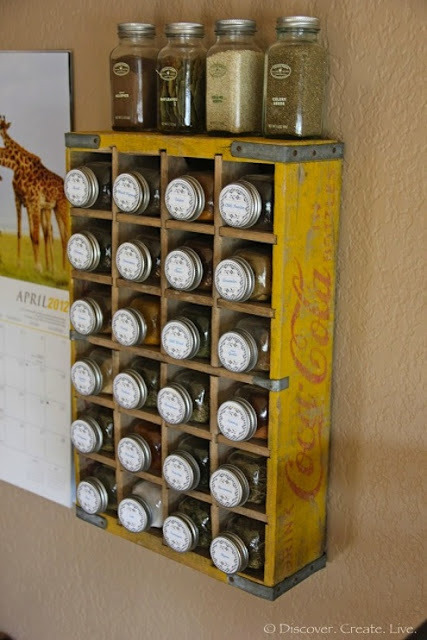 Though I think, I have a smaller version of that cabinet organizer. Before you do your kitchen renovation, let me just share what I just read. 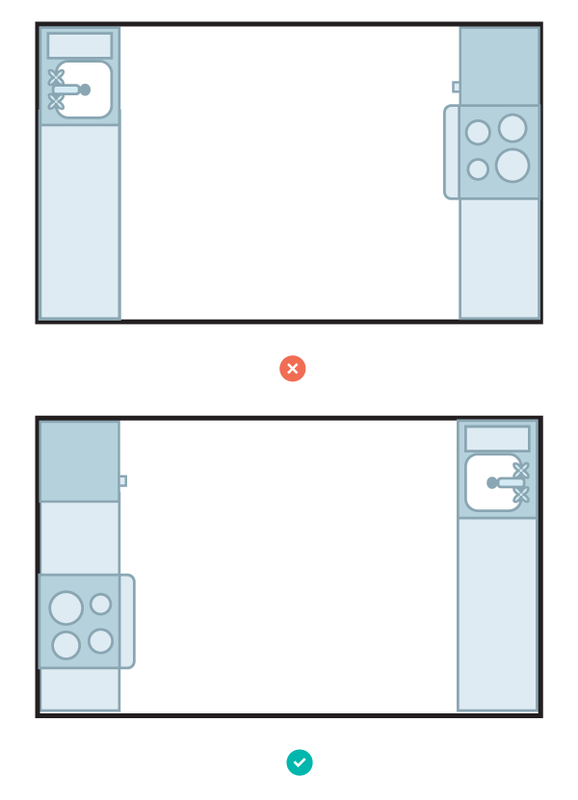 Did you know that the stove must not put across the sink? 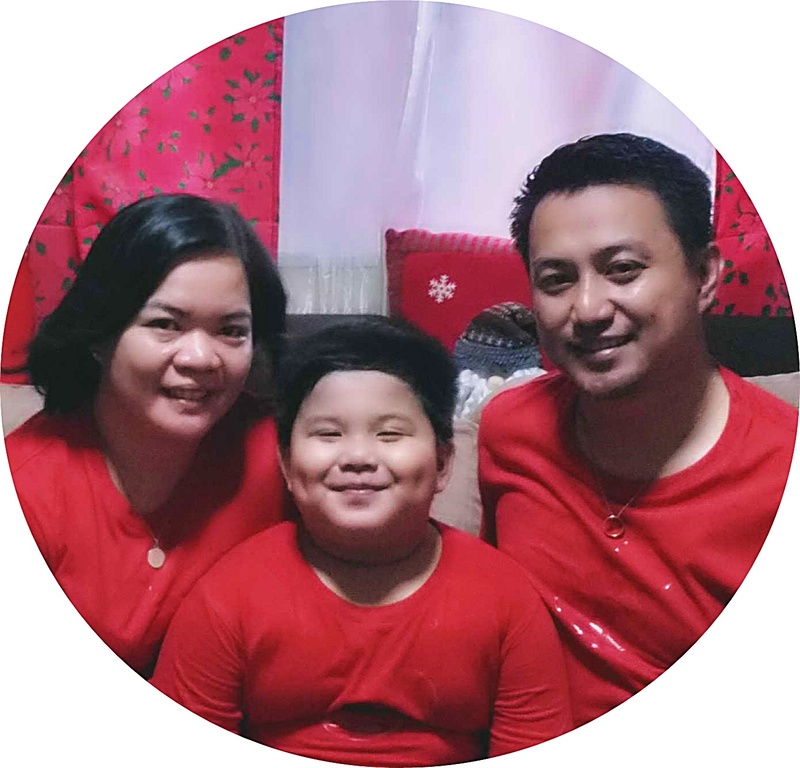 Take a look at this. 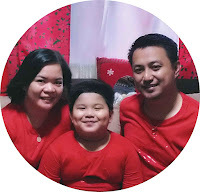 According to Feng Shui for homes, the stove is a source of the fire element and if it is placed across the sink, the fire energy will be drained, almost immediately, from our home. So make sure to place the stove on the opposite side. Wow, that was fun! 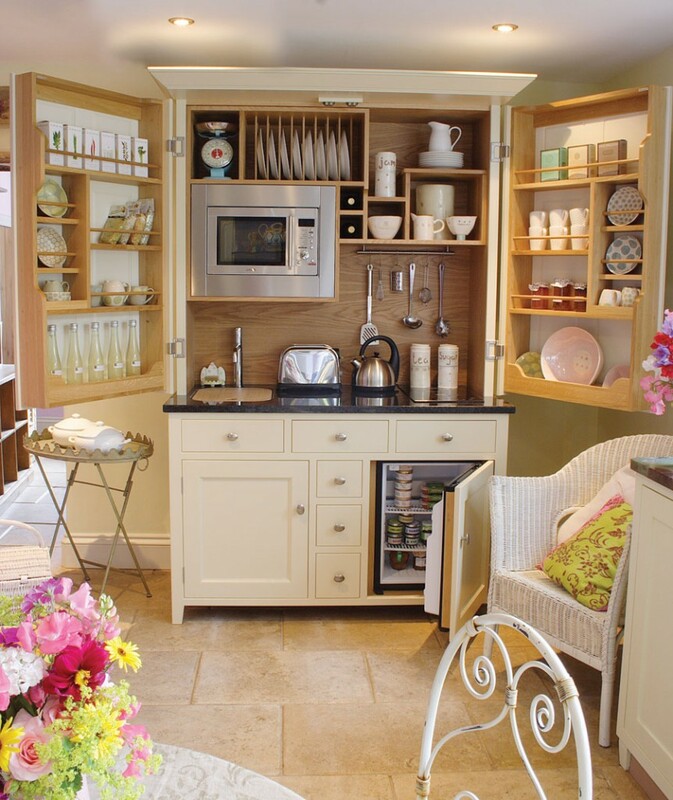 Can't wait to have our kitchen renovation. 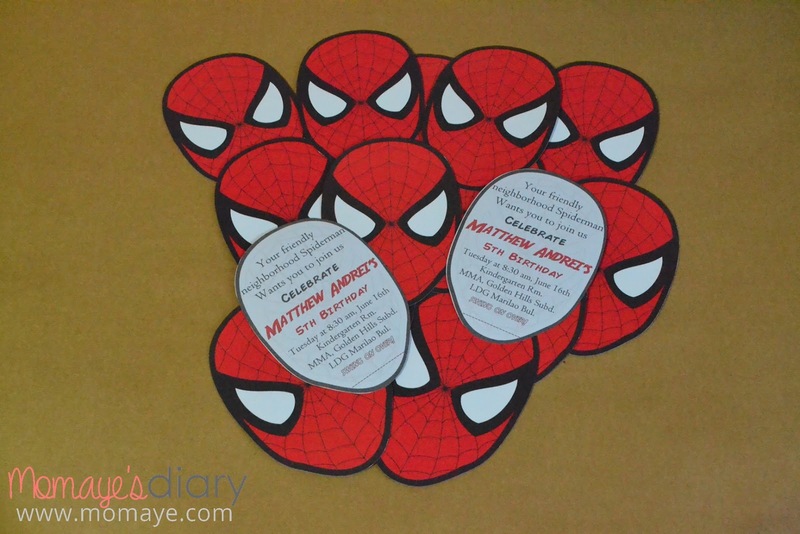 I love all these ideas.